On Saturday August 21st 2010 we were at the Springdale Veterans Hall in Springdale Pennsylvania. 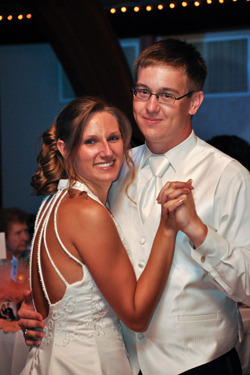 The event was a wedding reception for Matthew and Amanda Lucke. Matt and Amanda were married at 3:00 pm at the Our Lady Of Victory Catholic Church in Harwick PA. Guests began arriving at the Springdale Veterans Hall shortly after 4:00 pm where they enjoyed cocktails and appetizers as the bridal party posed for pictures with photographer Jim Kuhn. 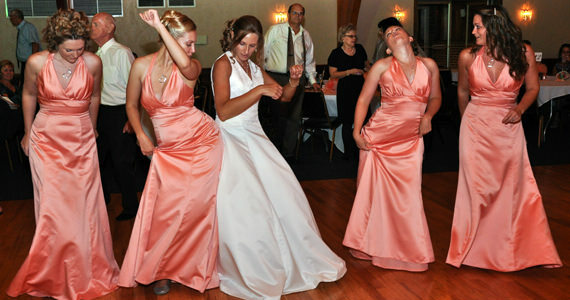 At 5:30 pm we formally introduced the bridal party to “I Gotta A Feeling” by Black Eyed Peas. We then introduced Matthew and Amanda to “Walk This Way” by Aerosmith. After the introductions, we invited Matthew and Amanda to cut their wedding cake to the song “Hit Me With You Best Shot” by Pat Benatar. A toast was then given by the best man Mr. Chris Lucke. Dinner was prepared by the catering staff at Ranieri Catering from Lower Burrell and was served buffet style. After dinner we invited the newlyweds to share in their first dance together as husband and wife to “I Don’t Want To Miss A Thing” by Aerosmith. 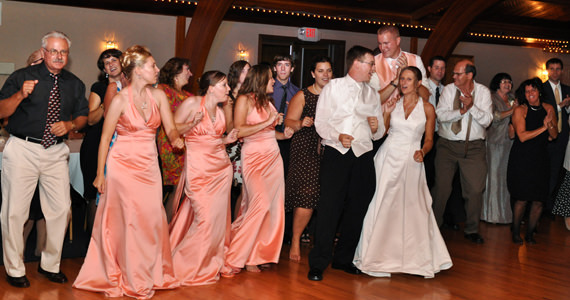 Amanda and Matt then danced with the bridal party to “History In The Making” by Darius Rucker. Next, Amanda requested a special dance with her father Mr. Butch Pavlik to “My Girl” by The Temptations and then with her mother Mrs. Patty Pavlik to “Somebody’s Hero” by Jamie O’Neal. Matthew then danced with his mother Mrs. Cathy Lucke to “I Hope You Dance” by Leann Womack. Throughout the remainder of the evening, guests danced to music by Boston, The Bee Gees, The Village People, Usher, Michael Jackson and more. At 10:30 pm we invited all of the guests to share in the last dance of the evening to “Then” by Brad Paisley.